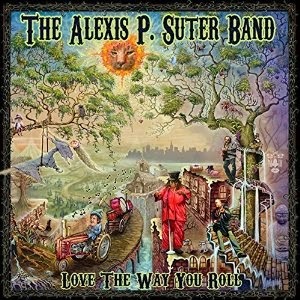 I just received the newest release (August 12, 2014), Love The Way You Roll, from The Alexis P Suter Band and it's literally off the hook! I have to admit I have not had the pleasure earlier but my pal Stilladog had recommended I check this band out and he sure was right! Opening with Nuthin' In The World, a cocky blues rocker with a lot of strut, Suter introduces you to her unique vocal style and it's terrific. 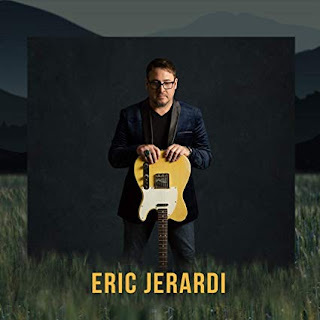 Backed by Vicki Bell on vocal, Ray Grappone on drums and Peter Bennett on bass this is a cool rocker with stinging guitar work from Jimmy Bennett. 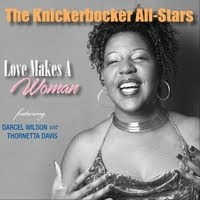 25 Years has a real swagger and Suter again just blows you back in your chair with her voice. Bennett rips it up pretty good on guitar and Grappone holds tight on drums. Anything is a beautiful soul track and a brilliant showcase for Suter's vocal style. Excellent key man John Ginty adds rich B3 overtones to this track and Bennett's guitar tones are rich and "Super" like. Excellent! Big Mama is a strong Texas style boogie with driving guitar rhythms and lead. Bennett whips out the slide on this one and smoke flies! Slide fans...here it is! Cool track. Title track, Love The Way You Roll, has a swampy Bo Diddley feel with lead NO drum march feel. Again Bennett steps up with his slide and grinds it out, even blending in a little Morganfield tribute. Raw and Bluesy! Gonna' Love You has a real somber, slinky feel with the Bennetts on bass and guitar setting the pace. Suter has a rich, relentless voice and this track is really hot! A great groove with contemporary styling and hot guitar riffs... how can you miss? Excellent... possibly my favorite track on the release. Waiting takes a step back with an easy approach and a rhythm that is reminiscent of Bill Withers' Use Me. This track has great style and a embracing feel. Ginty on electric piano and B3 adds a nice middle adding to the spotlight on Suters' exceptional voice. On Big Mama's You Don't Move Me No More, a Latin percussion keeps the track on the low down but Jimmy Bennett lays down a really slick jazz guitar solo for a cool bridge. This track is really nicely done and a light feel breaking up the intensity of most of the release. It Ain't Over has a R&B feel and with vocal duet with Vicki Bell this is a hot radio track. Hang On opens with a cool bass riff from Peter Bennett. 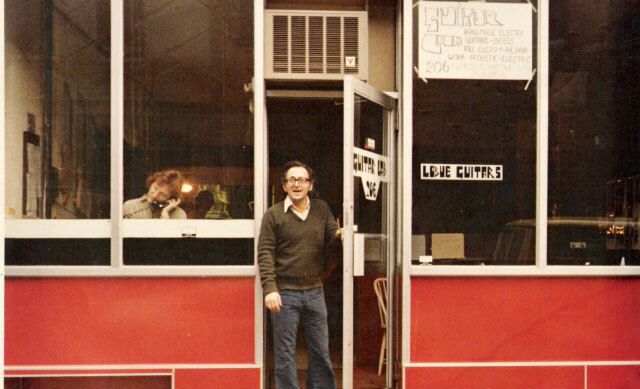 Falling into the background, the track builds on the cool funk and again Suter and Bell pair up on vocals with a real bouncer. This is one of those tracks that is bound to move you round in your seat. A loose guitar solo from Jimmy Bennett on the track and strong bass riffs from Peter Bennett stand out on this track. Another solid ballad, Them Days, finds Suter holding back on the amplitude of her vocals allowing a different texture emerge. Accompanied mostly by Ginty and complimented by a clean solo from Jimmy Bennett, this is another track that could find universal airplay. The release concludes with a really hot cover of Slim Harpo's Shake Your Hips. Suter was born to sing this track and Bennett is pushing her all the way with cool grinding guitar riffs. Vocal compliments by Bell and minimal bass and drums make this track a particularly effective boogie. Excellent! If you haven't concluded from the review, I really like this release and recommended it for anyone who this even sounds remotely interesting to! All I want to know is "When is she coming to town!" Figuring out that the very best country new music artistartists are is not simple because you can find and so quite a few.